Home / Entertainment / News / Viral / Kilalanin ang Napakagandang Girlfriend ni Xander Ford! Kilalanin ang Napakagandang Girlfriend ni Xander Ford! It is every fangirl’s dream to end up being in a relationship with their idol and it is very rare for this kind of fairytale to come to reality. Among the few girls who are now living their dreams is this girl. Meet Rhea, Xander Ford’s fan who is now his girlfriend as proven by his current posts on his official Instagram account. 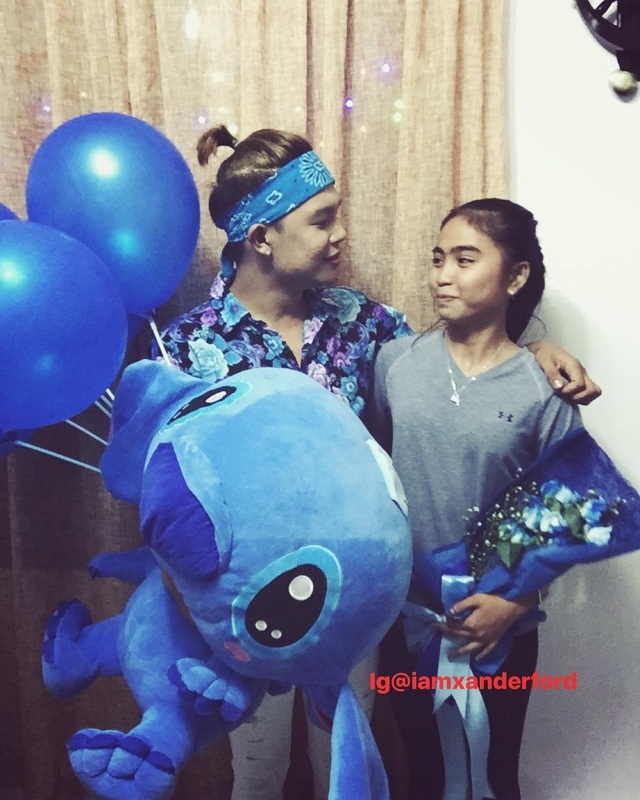 In the latest posts he shared, Xander Ford surprised Rhea carrying along with him Rhea’s favorite cartoon character Stitch. 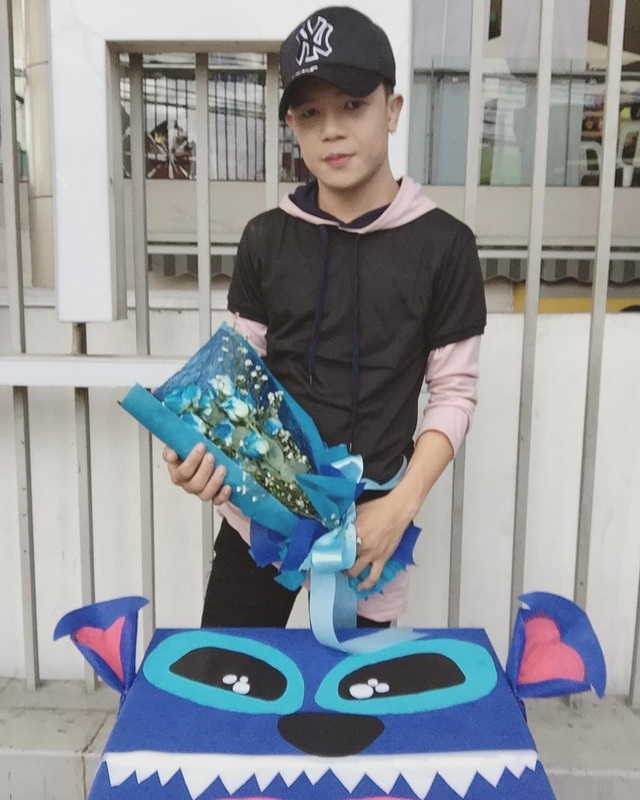 Xander Ford brought flowers, Stitch stuffed toy and a necklace. In Xander Ford’s recently uploaded video, the internet sensation gave his girlfriend a locket necklace which according to him has a key that he’s only the one permitted to open. Rhea seemed just a bit overwhelmed maybe because she’s already used to Xander Ford’s thoughtfulness on every special occasion. 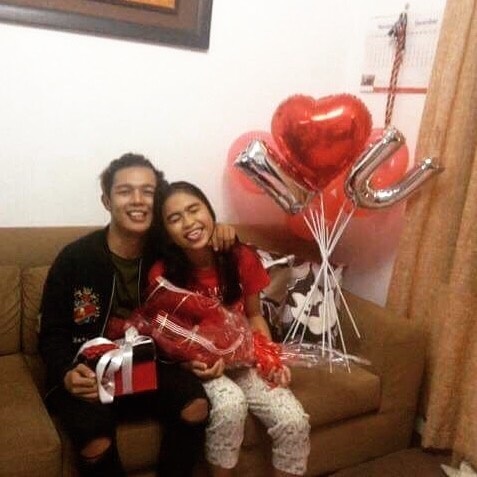 On their first monthsary, Xander Ford also surprised her with a bouquet of flowers and a set of balloons professing his love for her. Checking Rhea’s Instagram account, the fan has not shared anything about her relationship with Xander Ford. Well, maybe she’s still on the state of shock living her dreams now or just wants to keep their relationship from the eyes of the public in her perspective. Meanwhile, many Xander Ford’s fans, of course, felt envy to Rhea but there’s nothing to worry about as it’s just normal for fans to be possessive with their idols. Speaking of a fan who turned their idol’s girlfriend, if we are not mistaken the best example and probably the most notable fangirl who is now a wife of her showbiz crush is Lucy Torres-Gomez. Hopefully, Rhea and Xander Ford’s relationship would end just like Lucy and Richard’s fairytale — the princess marries her prince charming.